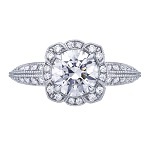 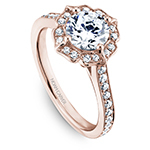 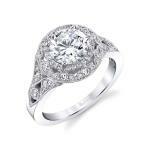 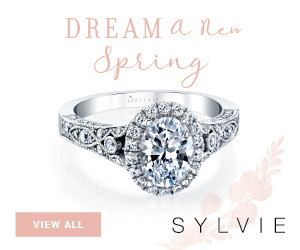 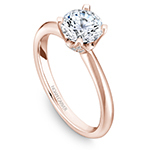 A gorgeous oval-shaped engagement ring crowned by a glittering diamond halo. 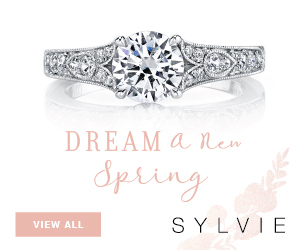 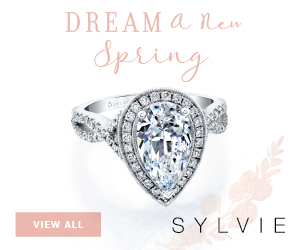 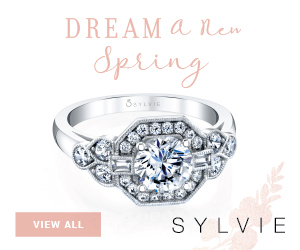 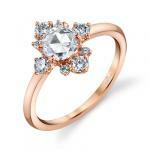 Radiant diamonds line the shank of the ring adding even more sparkle! 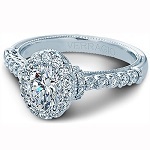 Shown with a 7x5 oval head.